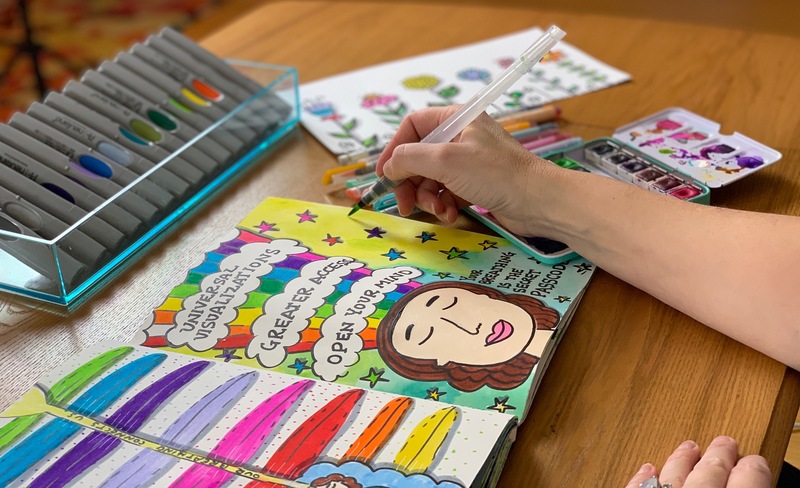 The DOODLE GIRL & FRIENDS LIBRARY is filled with courses that will teach you how to create doodles you will adore and be very proud to share with your children, students and co-workers. This program has helped hundreds of people tap into their creativity like never before. I would love to be your mentor and friend show you how I went from doodling in my art journal at the age of 23 to being asked to draw for companies like Disney, Coca-cola, Google, Wired and even the White House to visualize their strategic plans, brainstorm new products or capture key leaders presentations at conferences. In this program you’re going to discover how to DOODLE YOUR DREAMS! Learn to doodle in 21 easy to follow lessons to teach you how to draw. From basic shapes to lines, patterns and bullets. Bring your ideas to life. 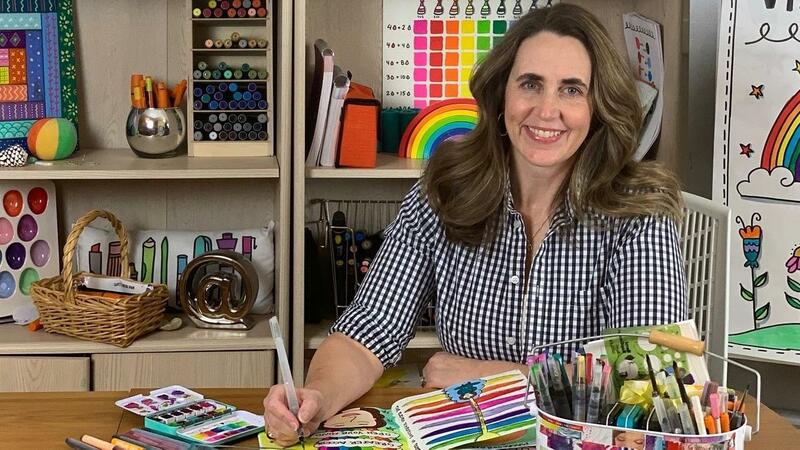 This course includes a series of online videos with printable worksheets to guide you step-by-step through the course and begin to unlock your creativity. 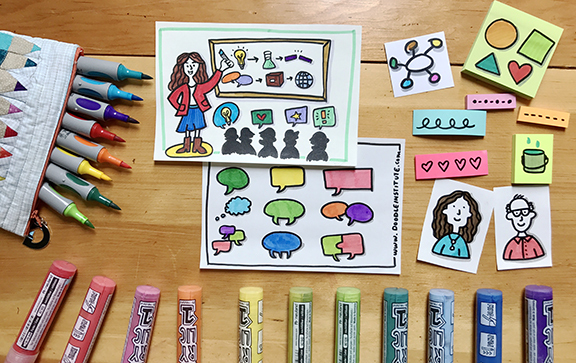 Once you master these basic doodle lessons you will start to see all the creative ways you can use doodling at Home, School & Work. Discover the wonderful world of doodling. We created this as the first in the series to guide you through the basics of how to draw. We have heard thousands of people say, “I can’t draw.” You CAN! We believe you can and we will show you how. Once you know the basics, there are literally hundreds of ways you can apply it from early childhood, elementary and secondary school and well into your adult life. 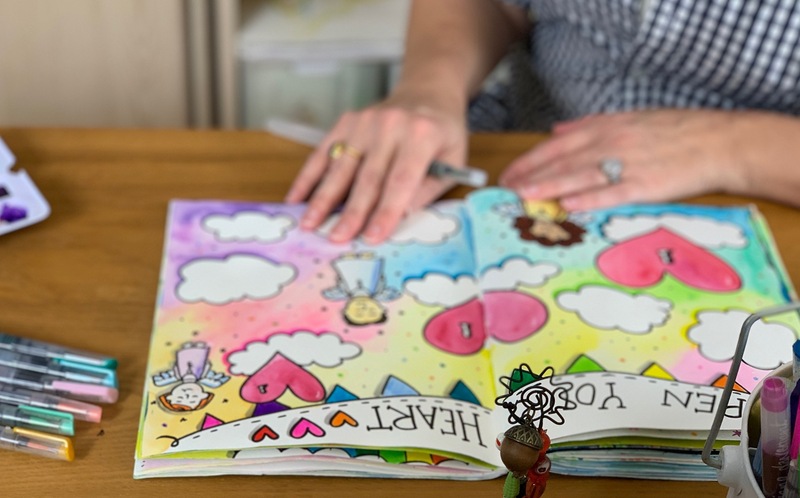 Doodling connects your hand and mind, which enhances your ability to absorb new information, process it, and remember it later. Doodling can help you unlock your hopes and dreams! You will build on the basics of doodling to understand more about the history of drawing. Once you know the history, you can define, build, enhance or create your own personal style. In this course, you will dive into lessons on the history, practice and theory of visual learning. The course will include assignments to enhance your visual vocabulary and your ability to draw on (and with) just about anything! Now that you are feeling confident about doodling, let’s look at all the ways you use your iPad to doodle. This course includes several lessons in the realm of Electronic Doodles, which we also call Digital Doodles. People often ask me, "How do I make my pictures not look grainy, pixelated and gray?" This course will help! 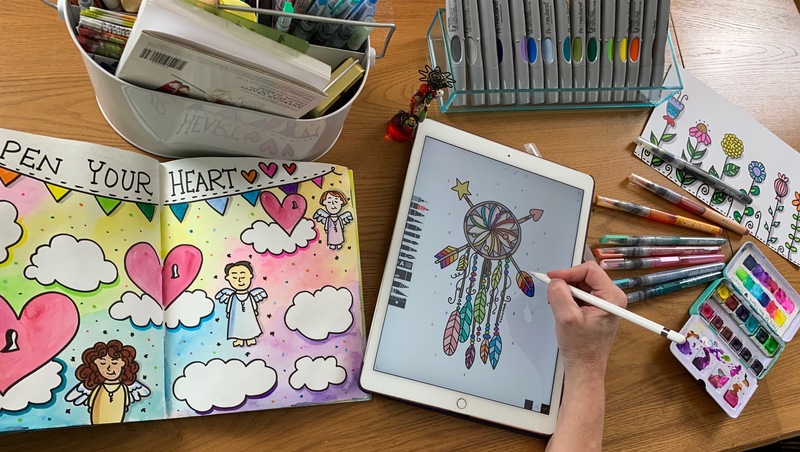 We are going to show you the tools you will need to take your doodles to the next level and while we are at it - we'll show you how to make a doodle video, doodle on an iPad, and so much more. When you connect Pen to Paper you open your heart channel. How do you maintain your creative spirit when working with others? As a creative person, you may be sensitive to the energy in the environment around you. It took me years to understand the impact this had on my mind, body and spirit. This course is designed to share with you what I've learned about creative energy, how to use it at it’s fullest, and how to protect it so that you can share your creativity with the world in a way that is meaningful for yourself and others. You are now ready to take the steps to building a career as a Professional Doodler. During this course you will create a business model and plan for launching your new career. Deciding to make a leap into building a business around “doodling for dollars” can be quite overwhelming. We know because we have made the career leap over and over every year for almost twenty years and we want to help. In this course, we will share as much as we can to accelerate your leap into this field. We begin by understanding your strengths and niche in this ever growing market. Then you will create a business model and plan for growth. Once you know that, you can develop a plan for launching the new YOU, build a community of support around your work and step into the success of developing, building and expanding your own imagination. 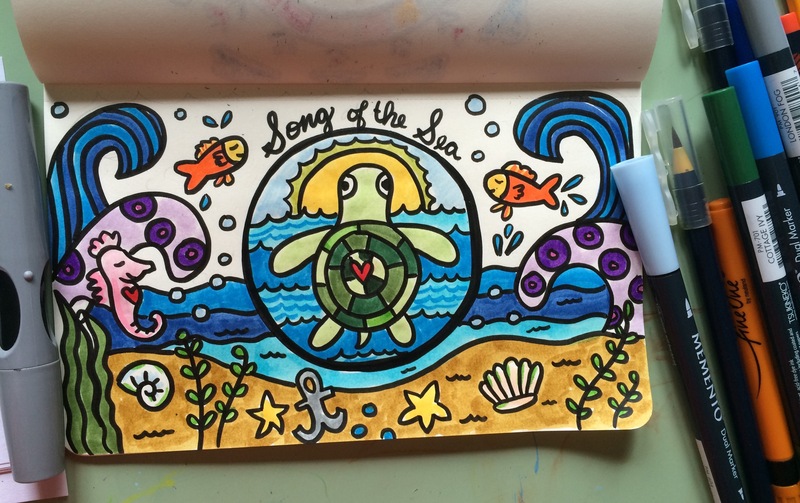 Start TODAY and ignite your creativity with the power of doodling! Grab your markers and a friend. We'd love to have you join us... it's the perfect time to begin! Featuring the Doodle Your Dreams Program! I LOVE TEACHING PEOPLE LIKE YOU HOW TO USE DOODLING & VISUAL THINKING TO TRANSFORM YOUR LIFE! Are you ready to UNLOCK YOUR CREATIVITY at Home, School & Work? With this Special Offer, you will have full access to SIX (6) Online Courses which you can enjoy anytime through the website. ... PLUS 3 SPECIAL BONUSES! - BONUS #3: Community Call with Diane Bleck every month! SIGN UP NOW & GET INSTANT ACCESS ALL SIX COURSES & BONUS GIFTS!